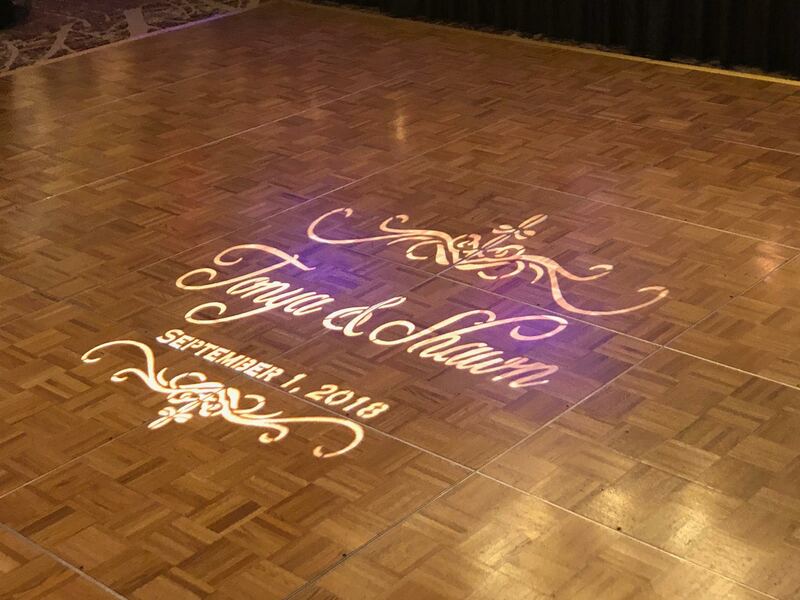 It was a perfect first Saturday in September to celebrate with Tonya and Shawn for their wedding at Bear Creek Woodland ballroom! The day began with a ceremony officiated by Pastor Franklin James. The bridesmaids looked incredible with Hair done by Miss Pink Kisses on Style seat. Their Makeup from Lauren’s Makeup Design was on point! 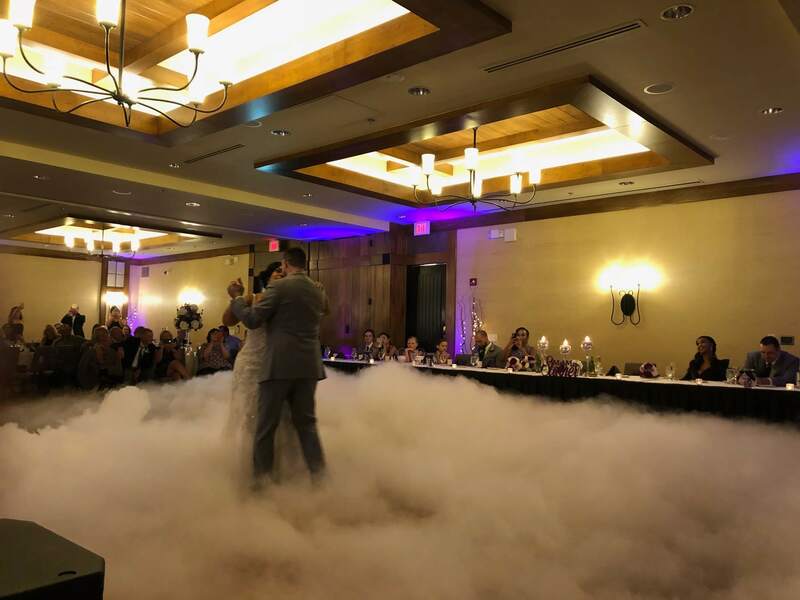 Capturing the ceremony to perfection was Vanessa Guevara Photography! 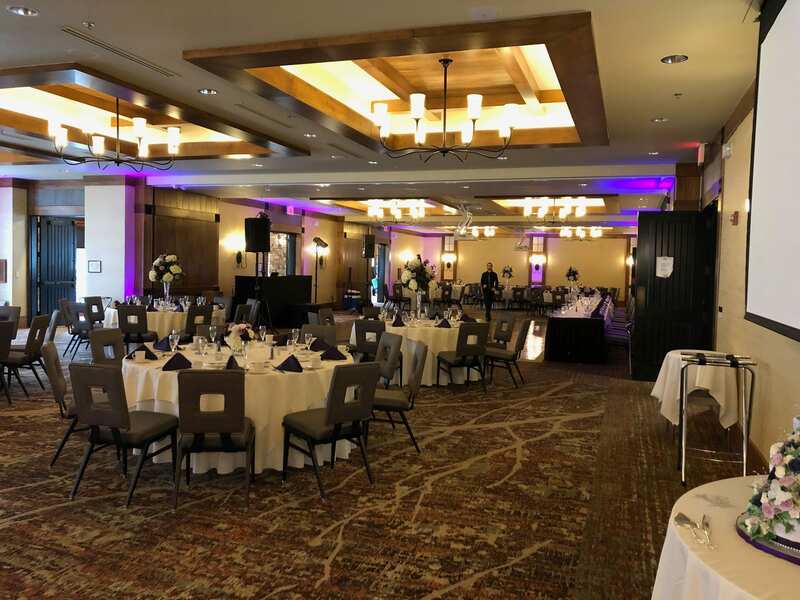 Guests enjoyed gathering in the ballroom for dinner, where royal colored uplighting filled the room. 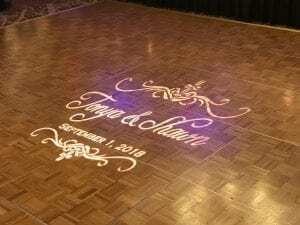 A custom monogram light illuminated the dancefloor. Perfect centerpieces created by Pondelek’s Florist greeted guests at their tables. 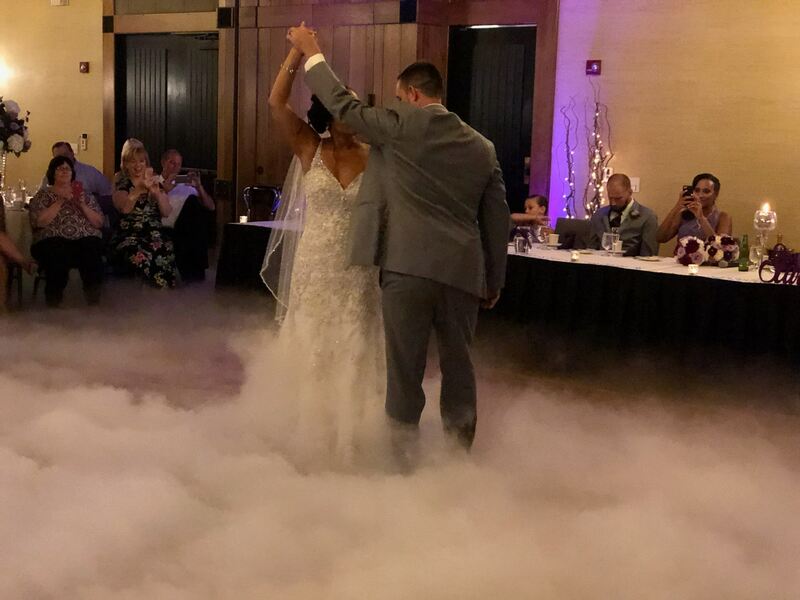 The wedding party made their grand entrance into the ballroom, followed by Shawn and Tonya’s first dance, which they shared on the clouds! 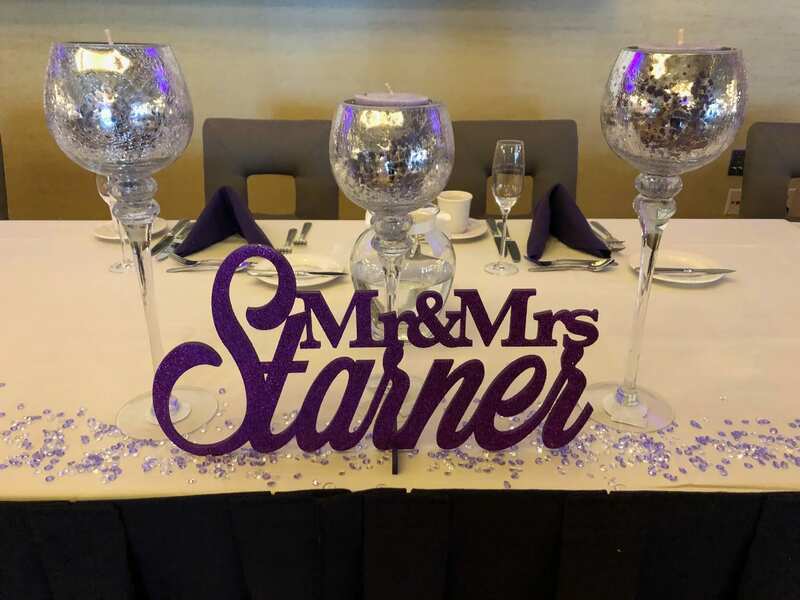 Shawn and Tonya shared a delicious cake created by Louie’s Bakery. 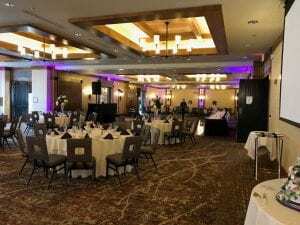 Rockin’ Photobooth was on location capturing some smiles and laughter through the evening. 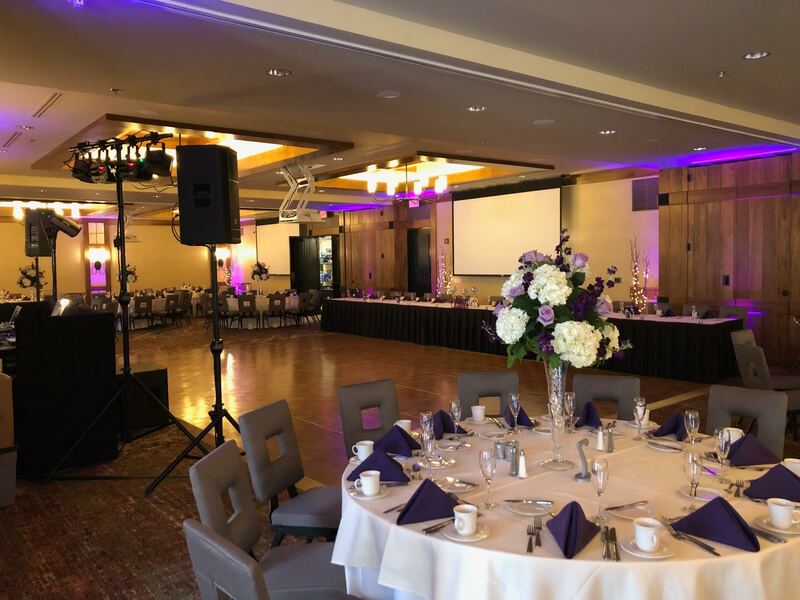 Rockin’ Ramaley had everyones feet moving on the dance floor the rest of the night! "Rockin' Ramaley was the perfect fit for our wedding. The music selection was great and Kevin was such a calm and organized presence throughout the event. 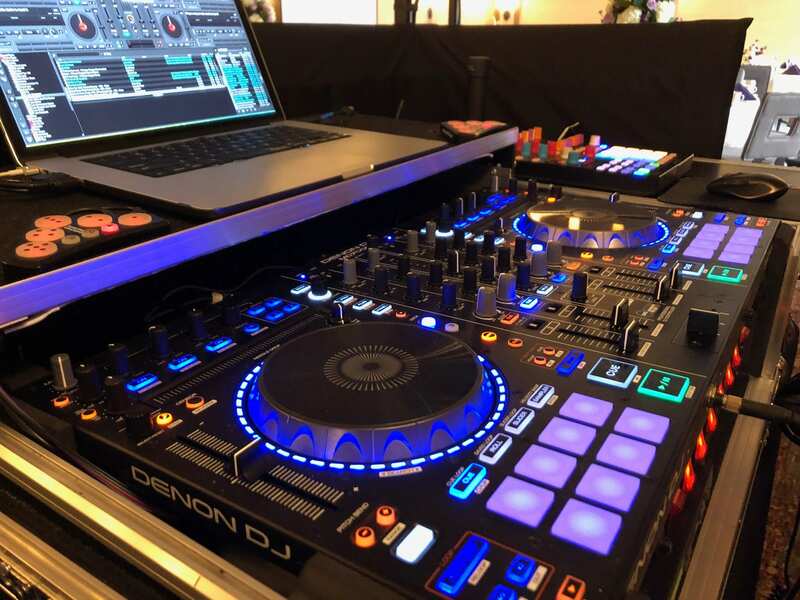 All of our guests commented about how our DJ was the best and they've been to alot of weddings."